“Verbal score is dismally low, quant is great”; “How can I improve my verbal score?” “What can I do to move from a 28 on the verbal to a 36?” These are some of the questions GMAT instructors are often asked and while the answers are researched and given, students still go away with low spirits and some even think they are just not cut out to pursue GMAT. RECOGNIZE THE RULES: There are only a handful of grammar rules tested in Sentence correction.The interesting thing about SENTENCE ORRECTION, possibly the nightmare for most GMAT students, is that it tests the same old rules in almost all the questions on this topic. In fact, if a student has familiarized himself with rules such as SUBJECT/VERB Agreement, MISPLACED MODIFIERS, and PARALLELISM to name a few, he can eliminate at least 2 or 3 of the options with ease, since he is bound to find errors relating to these rules. So know the rule and apply it wisely. 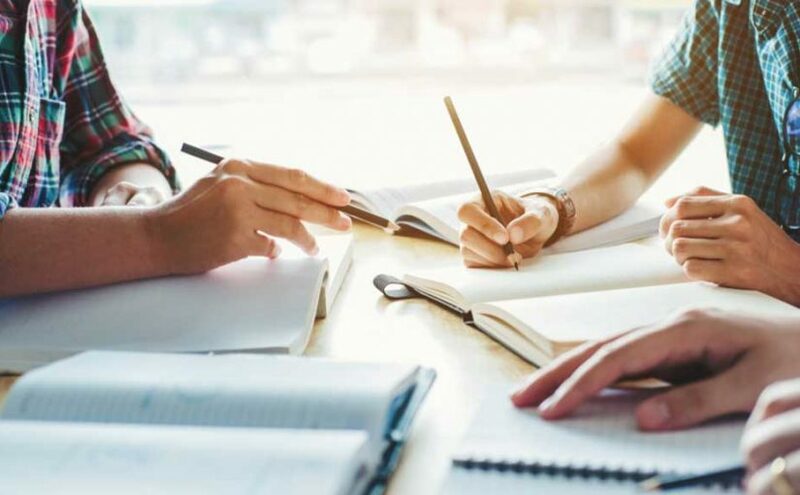 READ FOR ANSWERS: Reading online and comprehending what you have read is another dreaded feature of the GMAT for some or maybe for most students. Reading is intimidating especially when the passages become dense and boring. But what we need to tell ourselves is that the GMAT is not testing our ability to read well but is testing our ability to answer correctly out of the 5 options given. So if we successfully eliminate 4 options we are down to the correct answer. To eliminate the four wrong options we would have to read only sections of the passage that contain the information. You do not have to be subjective or opinionated while reading. You just need to be clerical and write notes in shorthand. GUESS AGGRESSIVELY: Now let us look at the scoring behavior of the GMAT. The myth that the first 10 questions matter the most is sufficiently busted by all GMAT pundits, and we all know that‘s not how the test works. On the verbal this knowledge should be reassuring. Recognize your strength areas and invest more time on getting those questions right. Assuming your logical reasoning is top notch and your grammar knowledge is abysmally low, you would benefit on guessing on a few SC questions and using the time saved to see that you get the CR and RC questions spot on! You will be amazed to see that this educated guessing has actually increased your score. SELF –DISCIPLINE: Verbal section requires a keen mind. Train your mind to look out for indicator words in argument questions that indicate the premise and the conclusion correctly. Likewise train your mind/sight to look for transitional words such as however, alternatively, yet, and so on while reading passages.These words will tell you that the tone of the passage has changed direction and you are expected to read the information with a little more attention.Train yourself to keep away from distracting information that often comes up in reading passages. Keep to the main crux of the passage. Ignore the mundane details. If you need to pick an answer from these details you could always go back and read that part again. PRACTICE, PRACTICE & PRACTICE: There is no short cut to success. To work at something day in and out will ensure success. The tenacious always shine; the skilled one sometimes. Take several mock tests and review the tests with your tutor or anybody who has already taken the GMAT. Practice helps in two ways. 1) You become perfect 2) your stamina levels improve tremendously and you become well equipped to handle the 4 hour long test with stoic endurance. ENDURANCE matters hugely! !